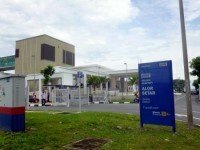 The KTM Alor Setar Railway Station is located a short 10 - 15 minute walk away from the centre of the city and is a much more convenient point of arrival in the city compared to the bus station, which is located quite a few kilometres away from the centre. Although Alor Setar has a number of tourist attractions, many people just pass through the city and travel out to the Kuala Kedah Jetty to catch one of the high-speed boats to the island of Langkawi (Pulau Langkawi). From the 19th May 2016 and the introduction of a new KTMB Train Timetable, KTM Intercity Express Trains that previously stopped at Alor Setar have now all been cancelled. From this date all long distance trains will be operated by the new high-speed ETS Trains between Gemas and Padang Besar. From the 1st January 2016, a new northern commuter train service (KTM Komuter) will be stopping in Alor setar Station many of times a day. These cheap commuter (Komuter) Trains operate between Butterworth in Penang and Padang Besar in Perlis. Anak Bukit, Arau, Bukit Ketri and Kodiang to the north. Bukit Tengah, Gurun, Kobah, Sungai Petani and Tasek Gelugor to the south. You can also connect to another KTM Komuter route that takes you into Perak state. Take the Butterworth bound commuter train to Bukit Mertajam and change there. Bagan Serai, Kamunting, Nibong Tebal, Parit Buntar, Simpang Ampat, Taiping and Tasek Gelugor. The ferry terminal of Kuala Kedah is around 13 Kilometres (8 miles) from the railway station and can be reached by taxi or by a cheap local bus from the city centre. Fast boats leave for Langkawi from 7am in the morning until 7pm in the evening and depart every 60 minutes or so, depending on the time of day. All the old Intercity Diesel Trains are now Cancelled in this part of Malaysia. The State Railways of Thailand train between Bangkok and Butterworth no longer stops in Alor Setar and you will now have to take a Komuter Train to Padang Besar where the International Express now originates from. The International Express Train is an all second class sleeper train, so if you are travelling by train from Alor Setar to Thailand, you will have to buy a bed for any destination past Hat Yai (booking in advance highly recommended). 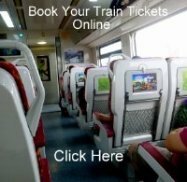 You can use this train to travel from Alor Setar to places like Surat Thani (for boats to Koh Samui and Koh Phangan or bus transfers to Phuket), Chumphon (for boats to Koh Tao) and Hua Hin. Travelling in the other direction from Thailand to Alor Setar, the train now terminates at Padang Besar Railway Station. From here, it is best to take a Komuter Train to Alor Setar.